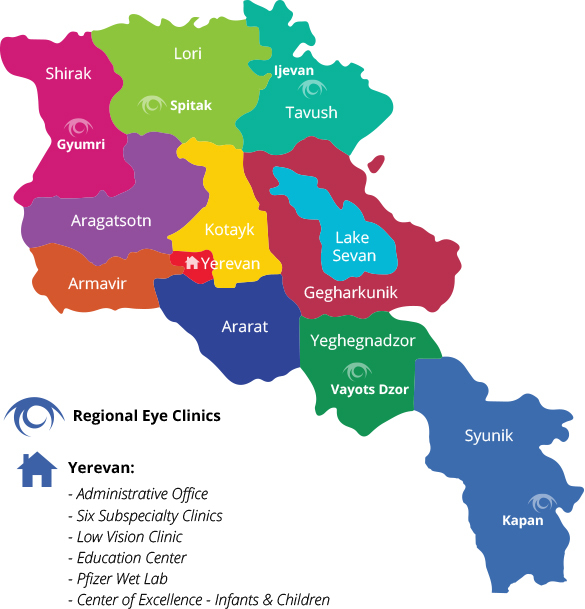 Armenian EyeCare Project » Medical Observer Donates Birthday to AECP — You Can Too! Medical Observer Donates Birthday to AECP — You Can Too! Rather than receiving gifts this year for her 22nd birthday, Nairi Rostomian — a former Medical Observer who traveled to Armenia with the Armenian EyeCare Project in 2016 — chose to donate her special day to the Project and be the reason someone in Armenia smiles on her birthday by restoring their sight. “This organization is so near and dear to my heart,” said Nairi, which is why she set up a Birthday Fundraiser on Facebook and asked her family and friends on the network to donate to the Project instead of spending money on gifts for her that she doesn’t need. “For my birthday this year, I’m asking for donations to the Armenian EyeCare Project,” her fundraising page reads. “I’ve chosen this nonprofit because their mission means a lot to me and I hope you’ll consider contributing as a way to celebrate with me. Every little bit will help me reach my goal!” Nairi has set her fundraising goal at $2,000. Nairi’s involvement with the EyeCare Project began when she participated in our Medical Observership program in 2016. She traveled to Armenia and shadowed physicians in the Project’s programs throughout the country. You can help us continue to provide care for Armenians in need by donating your birthday to the EyeCare Project! Your birthday contributions from family and friends — no matter the amount — will help us accomplish our mission of making quality eye care accessible to all Armenians in need and eliminating preventable blindness in the country. More than 80 percent of all blindness is preventable or treatable! The amount you raise will go directly to our country-wide programs and if you wish you can identify the program you would like your funds to support. Some of our programs include a Mobile Eye Hospital, a Center of Excellence for the Prevention of Childhood Blindness, Regional Eye Clinics, a Cornea Transplant Program and more. Consider donating your birthday to the EyeCare Project and be the reason someone in Armenia smiles on your special day. Restore their sight!